Inspired by this conviction, Stéphane Etienne, a former Belgian journalist, has founded in December 2013 in Luxembourg a company specialised in content and social media. Contentbecause the surfers, all generations considered, are basically attracted by the content and not by beautiful pictures taken right out image banks or perfect eye-catcher design. To have a presence on the web, shining is not enough; you must have something to say. Everything starts with a statement. In the early 2000s, old school journalism is threatened by the growing importance of the Internet. Everywhere in the world, circulation of major newspapers fall down and the digital newspaper economic model can’t sustain a competitive position in the market. A few years later, the emergence of social networks gives people a new way of getting the news. In the age of social media, content is king again and so are the journalists. Social media because one-way communication doesn’t work anymore. To be heard, you must not only have something to say but also say it in the good way. And to do that, you must listen to your audience, interact with others and take into consideration their comments and their criticisms. In other words, journalism is not really dead. Nowadays, journalism is more than ever interconnected and collaborative. It is our conviction, it is our story. Hypallage is a rhetoric figure of speech in which the natural relations of two words in a statement are interchanged. Virgil’s most famous is Ibant obscuri sola sub nocte per umbram (de la Eneida) that means something like They were darkly walking in the lonely night. To the common mind, the correct way to say the phrase would be They were walking lonely in the dark night. Google AdWords certification is a professional accreditation that Google offers to individuals who demonstrate proficiency in basic and advanced aspects of Adwords. 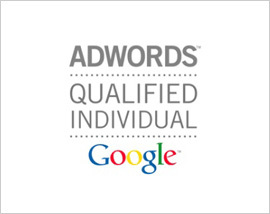 An Adwords certification allows individuals to demonstrate that Google recognizes them as an online advertising professional. 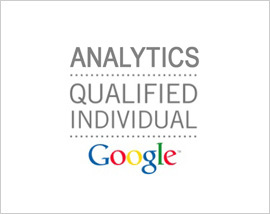 The Google Analytics Individual Qualification (IQ) is a demonstration of proficiency in Google Analytics that is available to any individual who has passed the Google Analytics IQ exam. It certifies that they have an advanced knowledge of the implementation, the configuration and the use of the Google Analytics solution. Hypallages is a provider of ongoing vocational training. Hypallages is officially recognised by the Luxembourgish State as a lifelong learning organisation and, as such, is authorised to provide individual and collective training and hold seminars in all the Member States of the European Union. 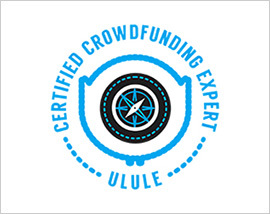 Hypallages is the first Luxembourgish company to be certified as a crowdfunding expert by Ulule, the biggest crowdfunding platform in Europe, available in 7 languages and present in 188 countries around the world. 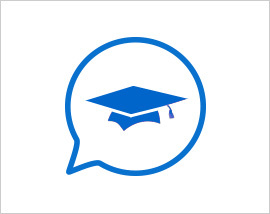 As an Ulule expert, Hypallages gives an half-hour free consulting for any project candidate on Ulule. Your brand image is primarily an emotional construct. Emotion is probably always more powerful in swaying people than reason, but people like to be able to rationalize their choices. For us, communication is not a source of expenses, but a source of revenues. With a good communication strategy where authenticity and emotions are emphasized, you can increase your sales, make a successful crowdfunding campaign and develop customer loyalty. We are convinced of that. We strongly believe that humility is an essential skill to succeed in the marketing and communication businesses. Claiming that we are the best is useless. We are here to listen to you, understand your needs and to find, together with you, the best solutions for your projects and your objectives. According to the proverb, curiosity killed the cat. Yes, but, for us, satisfaction brought it back. Our clients come from a variety of backgrounds, experiences and cultures. They can be startups, small and medium-sized companies or large multinationals. Each story is different, each story is interesting. Specialised in print and web design, illustration, photo and video shooting with or without drones, inbound marketing or lifestyle, our partners are passionate about their work and we are proud to share with them our ideas and projects: ADCorp, DBE Espagnet, Right Brain and Avenue Montaigne.